The right transept is usually only accessible for those receiving the Sacrament of Reconciliation (confession), which is available in several languages. The First Vatican Council was held in this area in 1869. We have now reached the transept of Sts. Processus and Martinian, the shortest bar of the Latin cross which corresponds to the northern bar of Michelangelo's original Greek cross. 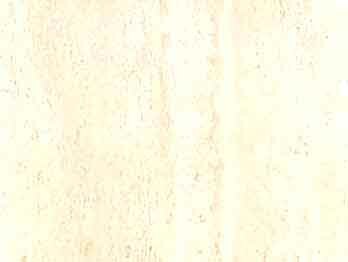 The vault in travertine was decorated in the 18th century by Vanvitelli with white and gold stucco ornaments. 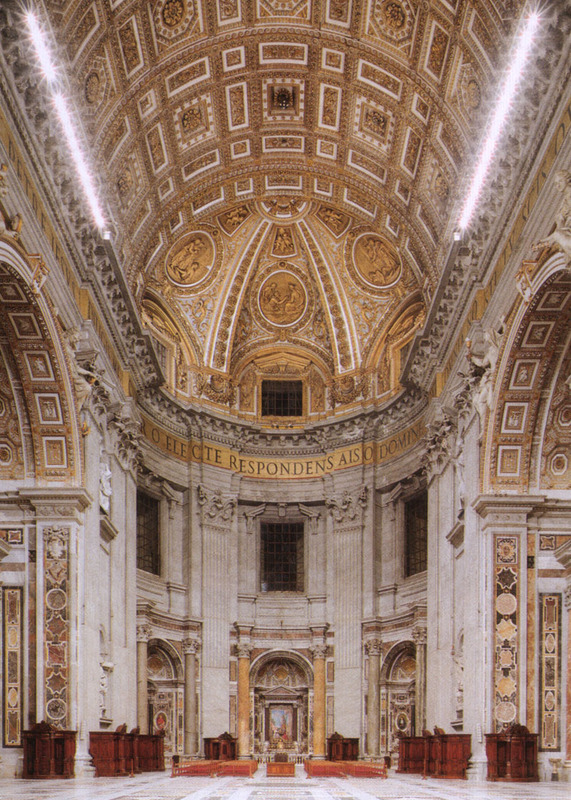 This right transept was assigned as a hall for the sessions of the 700 Council Fathers who took part in the First Vatican Council here, opened by Pius IX on 8 December 1869 and suddenly interrupted on 18 July 1870 when Rome was taken by the Italian army. We now enter the wide right hand transept, corresponding to one of the original arms of the Greek cross designed by Michelangelo, of whom we can admire the majestic spatial concept exalted by the powerful architectural masses, but also by the clear linearity of the semicircular apse ending the transept and of the vault. 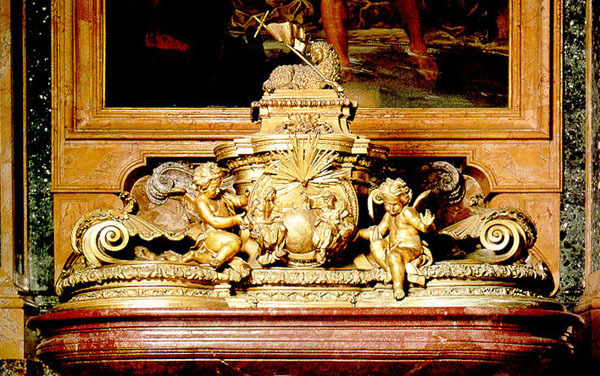 This was decorated with white and gold stucco, designed by the young Luigi Vanvitelli, nominated in 1726 as architect in St. Peter's. 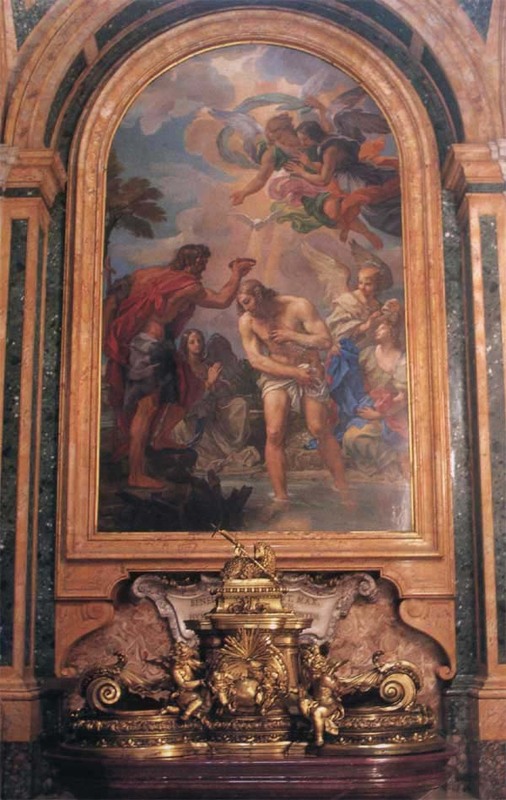 In the three large round gilded bas-reliefs, G. B. Maini sculpted three scenes with the Liberation of St. Peter, St. Paul's sermon in the Areopagus and St. Paul and St. Barnabus healing a cripple, based on tapestries by Raphael. In the niches in the walls are some of the most excellent statues of the Founders of the 18th century: St. Brunone by Slodtz, St. Giuseppe Calasanzio by Spinazzi, St. Gaetano by Monaldi and St. Girolamo Emiliani by Bracci. 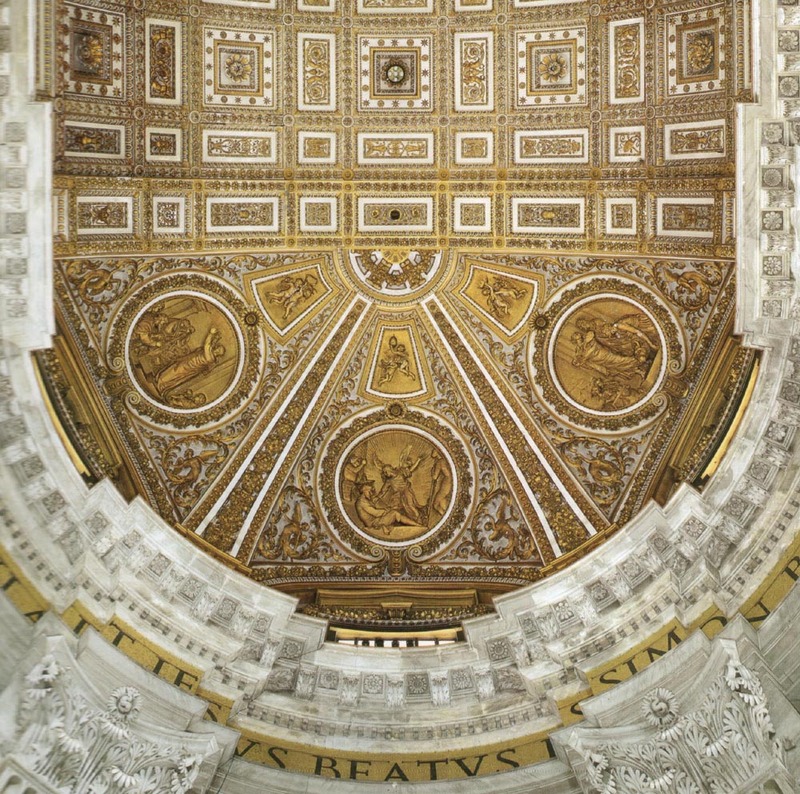 In 1870, in this crossing then used as the council chamber, the dogma of the infallibility of the Pope was solemnly proclaimed by the First Vatican Council, while the papacy's "temporal dominion" came to an end. Confession is available here during most of the hours that the church is open. God is able to forgive sins without confession. But in the Bible, and in the lengthy tradition of Christianity, confession to the Church and her absolution - done in the person of the priest, who represents the Church and acts in the person of Christ - is God's own preference. It is presumptuous to spurn the means that God has given us for the communication of his grace and his forgiveness. Even the Pope hears confessions, usually on Good Friday, and it is never announced beforehand. 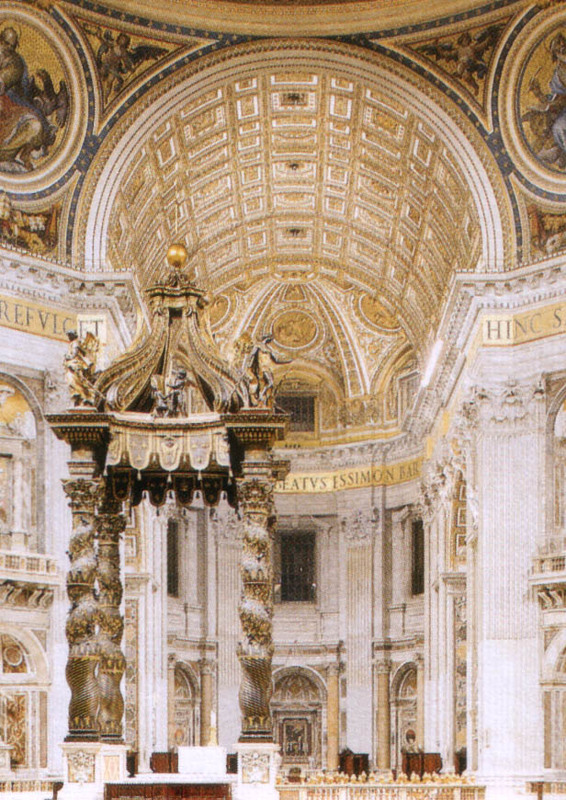 This area held the sessions of the First Vatican Council, in which about seven hundred Fathers took part, and which was opened by Pius IX on 8 December 1869. Of particular note, the Council proclaimed the Dogma of Papal Infallibility. 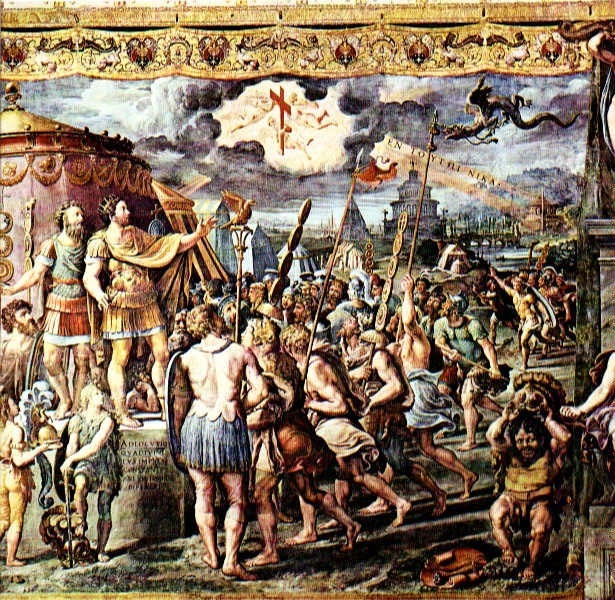 The Council was abruptly interrupted on July 18, 1870 when Rome was taken by the Italian army. 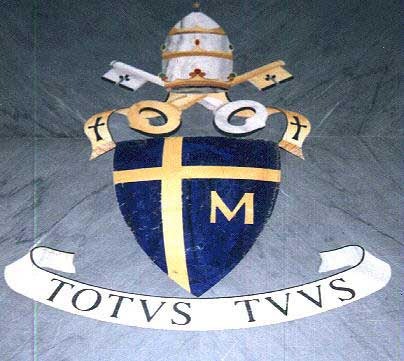 The Council was not officially concluded, however, until October 11, 1962, when the Second Vatican Council opened! On this spot were held the sessions of the First Vatican Council, which was begun on 8 December 1869 by Pope Pius IX and continued until 2 September 1870. 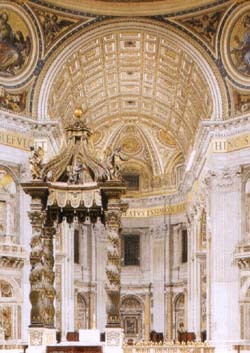 The sessions of the Second Vatican Council, called by Pope John XXIII (1958-1963) and concluded under Pope Paul VI in 1965, were held in the nave of the Basilica. Mosaic pictures by various artists are situated above the altars. Among them (in the center) is the martyrdom of Saints Processus and Martinianus by Poussin (1629); the original is in the Vatican Museum. The great French painter, who spent a great deal of time in Italy, painted this picture in a classical style at a period when the style of Caravaggio was prevalent and the fervour of the baroque was at its height. 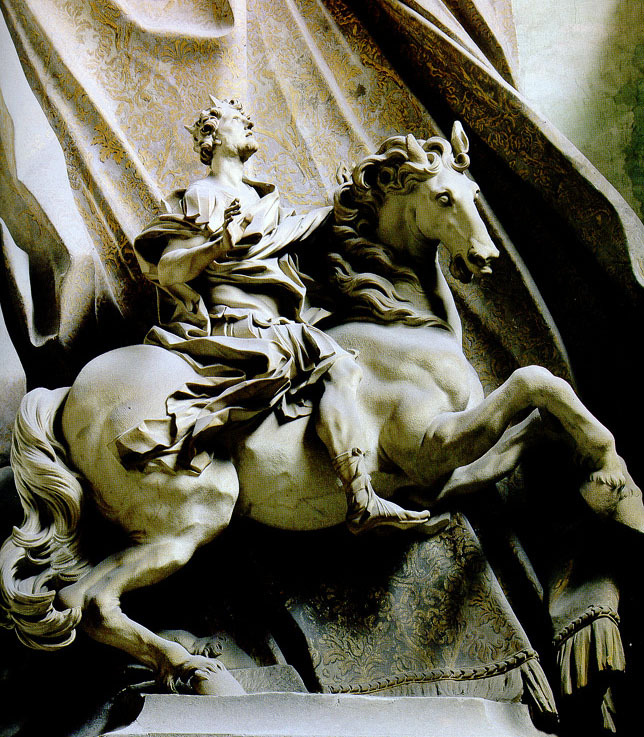 The Saint Wenceslaus to the right is by Angelo Caroselli (1630); Saint Erasmus on the left is by Valentino (1630). 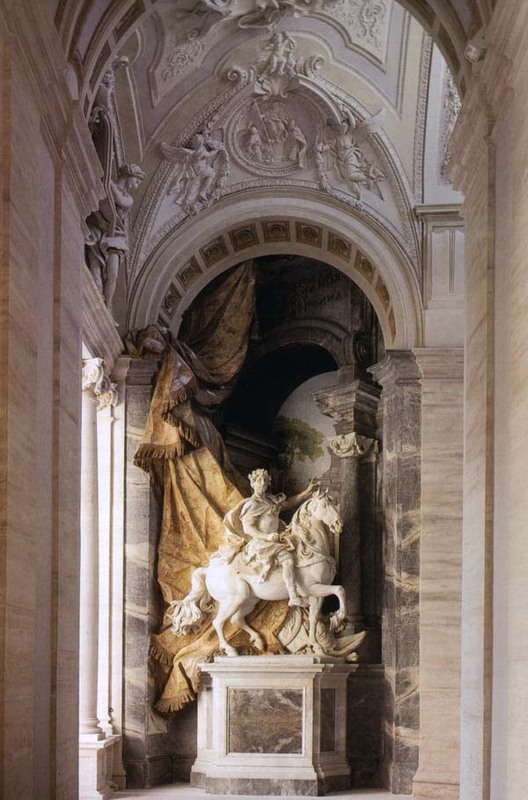 The chapel of Saints Processus and Martinianus was to have contained the statue of Religion by A. Canova. The Chapter of the Vatican intervened, however, on the grounds that the floor would give way under such an immense weight. It was not a very convincing reason. 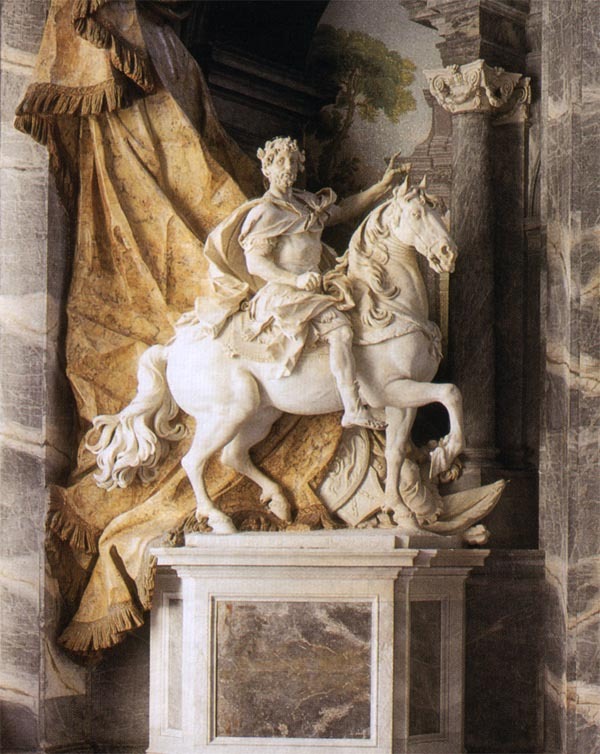 Canova, who was of a temperamental and easily offended nature, removed the symbols of the Catholic faith from the statue, and transformed it into an image of Protestant Religion. In 1817 he sold it to Countess Brownlow, who placed it in the Anglican church at Belton in England.